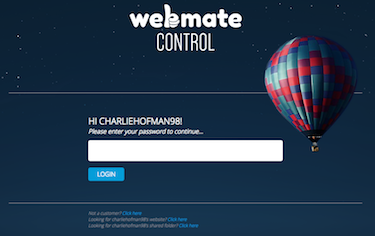 In WebMate Control you can click the padlock button to assign passwords to your 'Web' folder or to Individual folders within your 'Web' folder. You can password protect any public folders on your WebMate account, not just the web folder. (yourusername is your actual username). Once logged in, find the Web folder (located under Websites and yoursitename) or a subsite folder that you would like to password protect and click onto the three dots to the right of the folder. You can then select the padlock icon. Add the desired password for the folder and click Set. 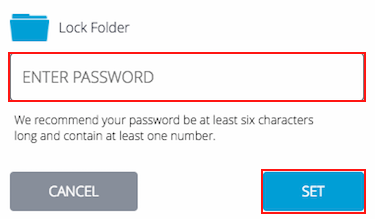 That password then grants read access (view and download) to the folder. Once a password is entered, it is encrypted when stored on our systems, so there is no access to it. To unlock the folder again, simply click onto the 3 dots and press onto the unlocked padlock icon. This will then remove the lock from that folder.